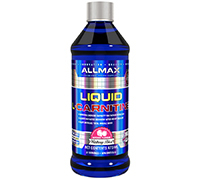 ALLMAX introduces a delicious and easy way to get your L-Carnitine in an ultra-convenient liquid form with 1,200 mg per serving. 2. How do I take Liguid L-Carnitine? 3. Is Liguid L-Carnitine sugar-free?